In 1876, six years after the death of Charles Dickens, the streets of the English capital still looked very much like the famous author had described. 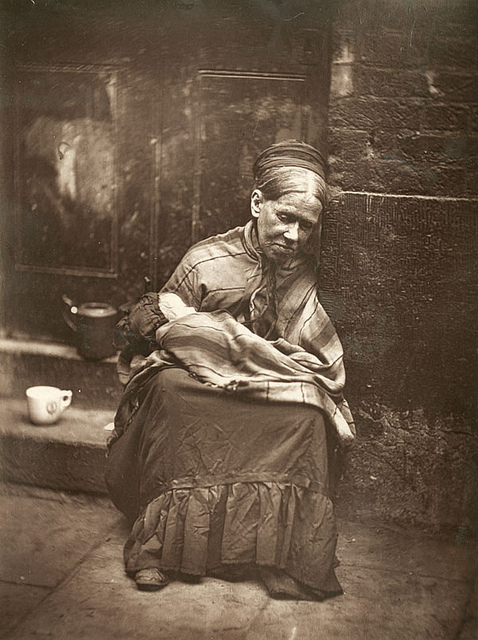 Poverty, disability and filth were everywhere: people lived a precarious and marginal existence working on the streets of London. Two men became determined to document this – and the book they produced shocked a nation. Radical journalist Adolphe Smith conducted interviews with the poor and down and outs of London. Yet this had been done before. The unique selling point of this book was his collaboration with photographer John Thomson. 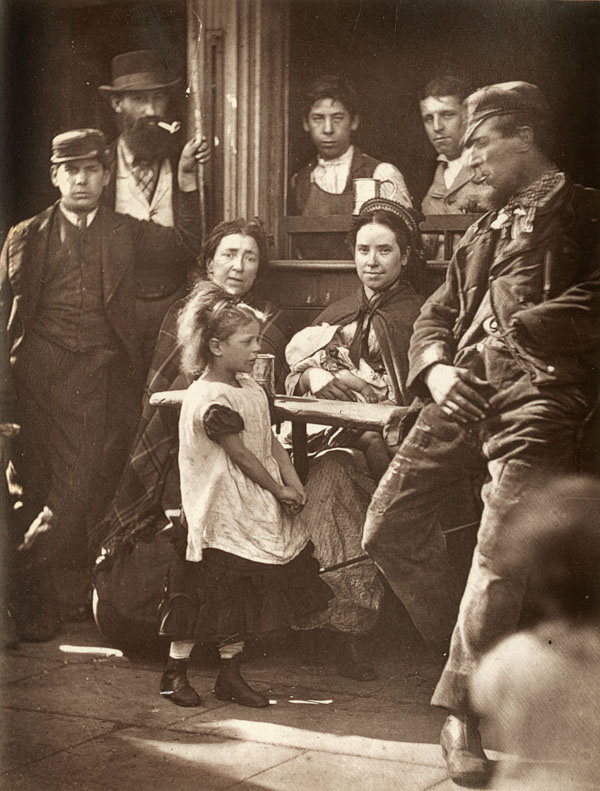 These pictures - such as the one above of a young girl searching drinking houses for an inebriate parent, were taken with a camera using the glass plate method (Eastman would not develop film until the next decade). They stunned the British middle classes and made their book – Street Life of London – an immediate best seller. What do you get if you cross a zebra with a seal? There is no sensible answer to that question, of course, but there is a species of seal which lives in the Arctic and subarctic regions of the North Pacific Ocean which could (however unfeasibly) be the product of a chance romance between the two species. 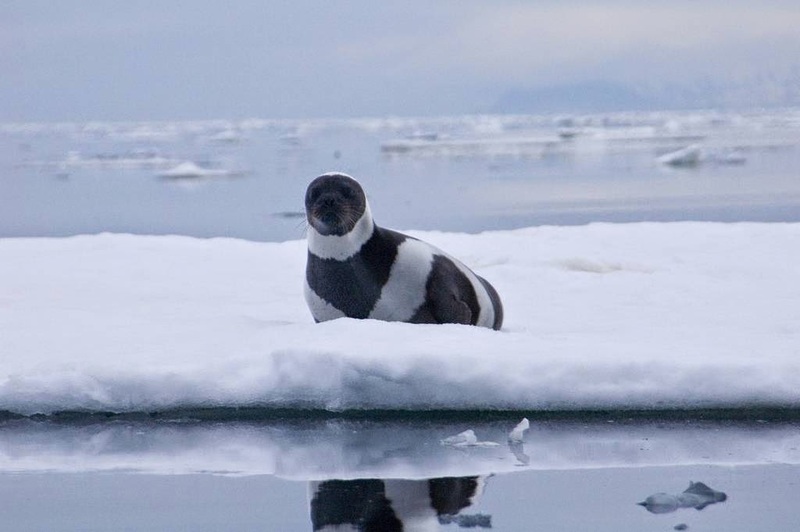 It is the Ribbon Seal and it is remarkable for its stripes. 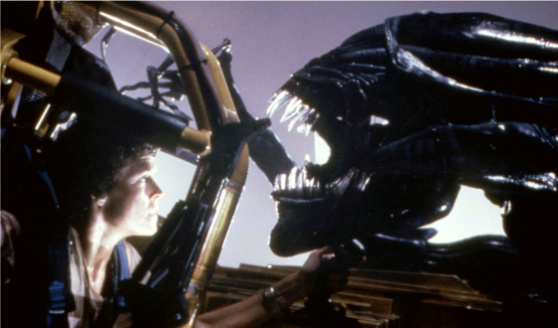 Our sibling site, the Ark in Space has a picture feature on this amazing animal. They say that life imitates art but perhaps in this case it is the other way around. 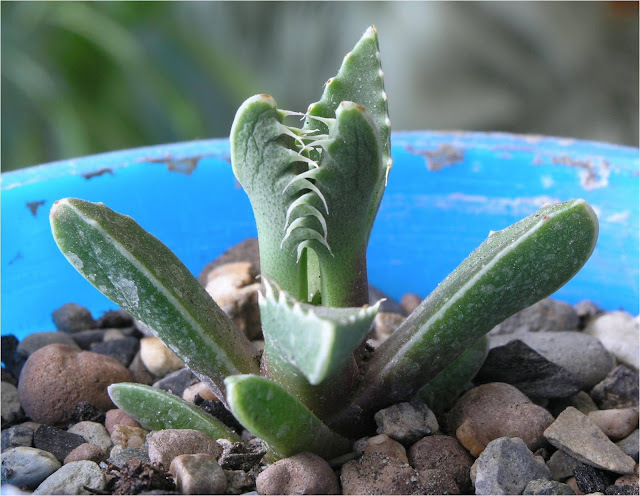 This is Faucaria tigrina or the Tiger’s Jaw – a succulent plant found in South Africa. 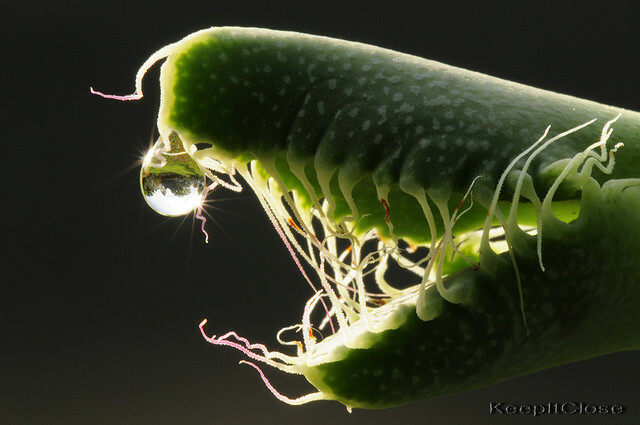 Yet caught at the right angle the plant does not resemble so much the jaw of a tiger as that of an altogether alien creature, featured in a number of movies starring Sigourney Weaver et al. 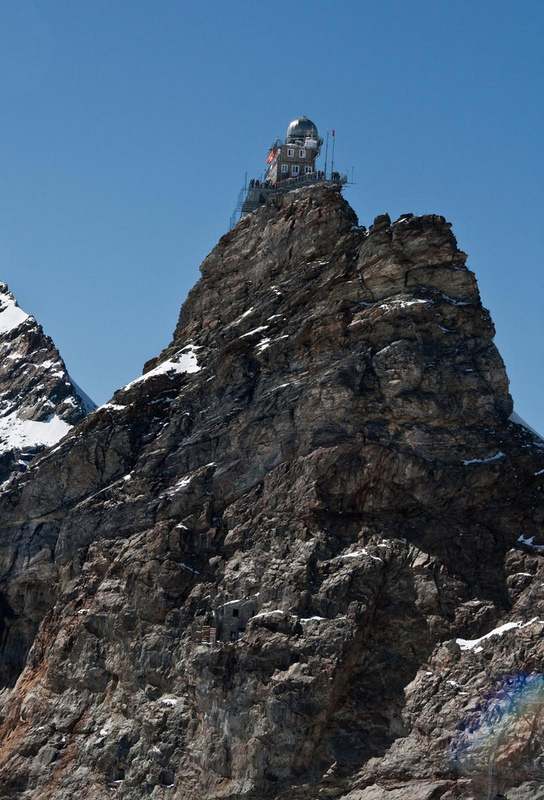 It may look like the hideaway of a super villain from a Bond movie but this is the Sphinx Observatory, dedicated to research which must take place out at an altitude of 3000-3500 meters. 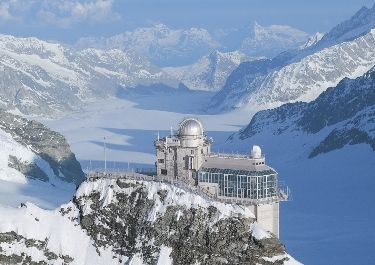 It is situated in Jungfraujoch, Switzerland. 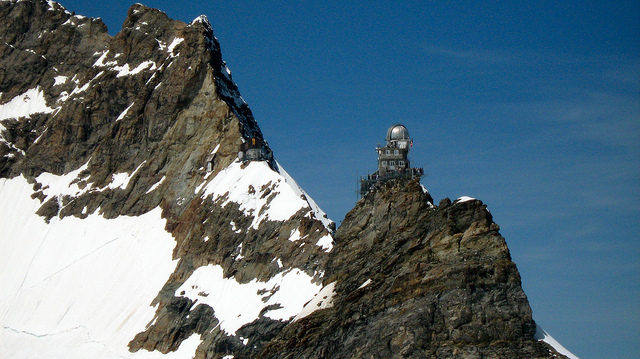 At an astonishing 3.571 meters above sea level, the Sphinx observatory in the Swiss Alps is the highest-altitude built structure in Europe. Many people say that Londoners are full of it. This may or may not be true but there is one certainty – when they let it go (as it were) it has to go somewhere. In Victorian days the smell from the river became so pungent that our Members of Parliament couldn’t stand the stench (one might, perhaps, argue there was a little yin-yang going on there). It was time for change then and it's time for change now. The folks at Thames Tideway have just released the video above. In it, real Londoners talk about the new ‘super sewer’ that is being built below the streets of England’s capital city. It is costing a huge £4.2 billion from the start of the project in 2014 to its end in 2023. That's quite a while. Yet Rome was not built in a day, as they say, and – for sure – a city the size of London needs serious stuff going on underneath in order for day to day life to carry on pong-free up top. This is, then, a huge feat of engineering which is needed because although the Victorians solved the problem back in the 1850s, times and populations change. Where we think they may have solved the problem permanently, there are still huge issues. Even now, the Thames still needs clearing up and raw sewage is going in to river at (what you might think is) an alarming rate (and you would be right). Each year 8 billion toilet flushes go straight in to the Thames. Big issues lead to big solutions. The project is vast – anything that takes almost a decade will be by sheer definition. Yet we can all get our heads around the whole thing with some interesting visuals and a narration to accompany them by contemporary denizens of Hackney, Southwark and the Southbank. Take a look at the video above. The scale is epic but it reflects a vision for a city which will be with us in five years. 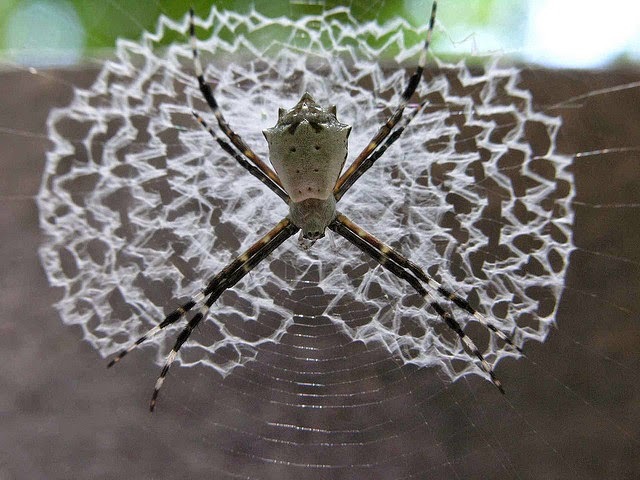 Spider webs – possibly the most beautiful and intricate animal structures of the natural world. However, some spiders are not content with a simple web. They go one step further. 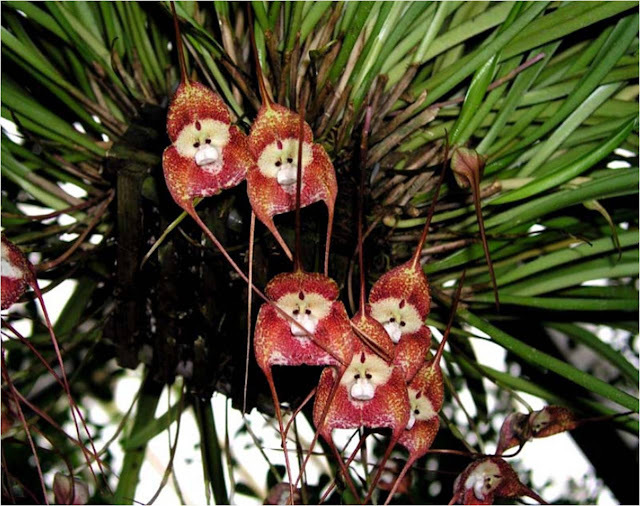 They decorate their own webs and today they are featured on the Ark in Space. 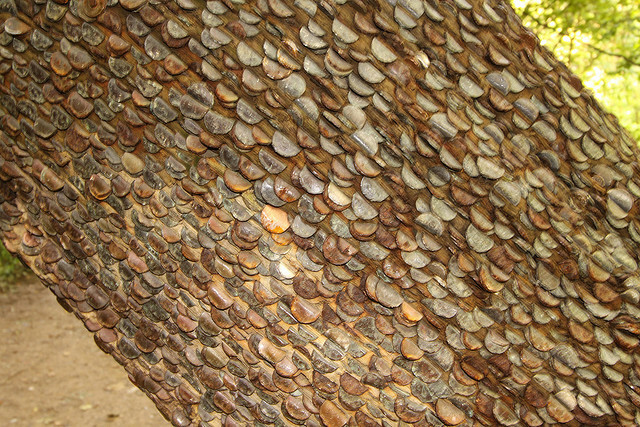 These stabilimenta were the source of inspiration for EB White, who was struggling to come up with ideas for his second novel. One day he noticed the additional decorations on the web of a Banded Garden Spider. It was from this natural inspiration that he would come up with the idea of a writing spider and would go on to write one of the world’s most cherished children’s books, Charlotte’s Web. Pop over to the Ark in Space for the full story of the spiders that decorate their own webs together with some amazing pictures. I had the great pleasure, this summer, to curate an anthology of short stories written by English teachers throughout the UK. 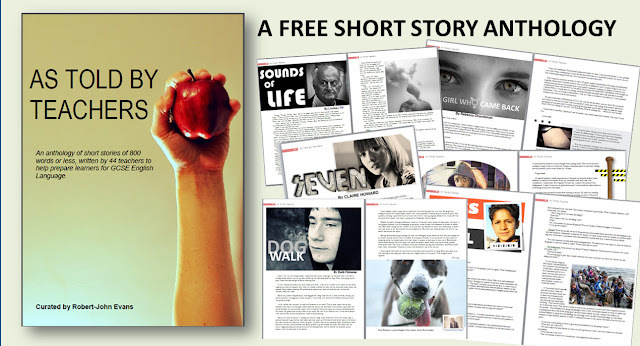 The aim of the anthology was to present a collection of stories aimed at students working towards their GCSE English Language exam – that is the gold standard of first language general education in England and a qualification which is attempted by most of the population, either at 16 years of age or beyond. You might wonder why teachers would bother participating in such a project – 43 altogether – when there are so many short stories already available. Why new ones? Authors from across the centuries had helped in my teaching delivery – Dickens, Chopin, Dahl, Gaiman, Mansfield and others – but all had something in common with me. It was entirely unlikely that they had written their stories while keeping in mind assessment objectives and skills descriptors against which they would be judged. So the stories in this anthology directly and explicitly relate to the skills that the students of GCSE English have to present in their creative writing piece in the exam. I knew I would be able to write a few myself but went on to a Facebook page I help run, GCSE English Language, to ask for some assistance. I was overwhelmed by the response. Over the course of July and August 2018 I received 50 short stories, all based on the example questions I had created for the anthology. There were only 12 choices so a number of participants engaged with each example question. The result was a lovely collection of short stories which I hope will engage students of GCSE English Language for many years to come. There is, I think, something for everybody in this anthology. If you would like to download the anthology and the teacher’s notes to accompany it, please go to the TES website. The resource is free so although you may have to create an account (if you have Facebook you can even use that) you will not pay for anything. The Average Cost of a Funeral in the UK – Time to Plan More Than the Music? You can read the report in more depth on the Legal & General website but I’ll put a few of the more interesting (to me) facts and figures here for you to digest. The greatest relief is that many people are like me – they haven’t really thought about it too much. So I’m not alone in that respect but I suppose if there is one thing that unites us all it is birth and death. The days in-between the two events are numerous but a single day can shape the rest of your life, positively or negatively and I have always thought there are about four or five of these pivotal days in anyone’s life. So perhaps we should count the funeral as an honorary pivotal day and start thinking more about it. £4.6K is, apparently, how much it will cost for me to be cremated (I live in Greater London) but to be buried that rises to £7.7k. I am rather thankful I don’t live in Enfield because I don't like the place and, moreover, the cost there rises to as much as £13k. That seems a rather exorbitant price to pay for expiring in that rather grim borough! Yet even though there are cheaper (and more pleasant, no doubt) places to die than London the price of dying will be, on average, £5,925 by 2024. They might just as well have rounded that up to £6K and be done, frankly. I’m disinclined to inform my family and friends that I should be given a pauper’s burial even though I have to admit the thought of that is almost attractive in a Dickensian mid-Victorian gothic novel kind of way. Perhaps what I will do, however, is take a look at how I can plan for my own funeral instead. Although I have never been too good at forethought, when I imagine how things might be done if certain relatives are left to organise it a slight shudder courses its way down my spine. Always look on the bright side of life is a good rule while blood is coursing through our veins. Once that stops and I slip of this mortal coil I think I would like to know exactly how my funeral will go, including the playlist obviously but with all the other details in place too. Time to make a plan, methinks. 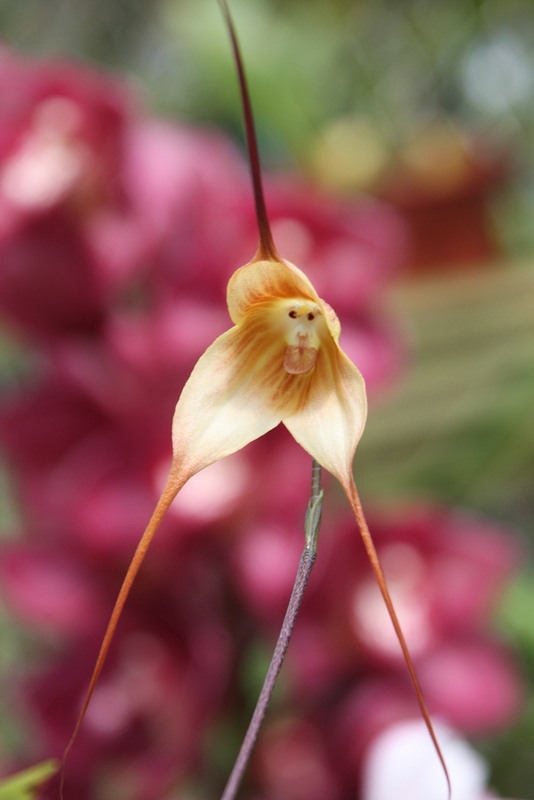 Our sibling site, the Ark in Space has a new feature about this unremarkable looking bird species. Not all bird species build nests. Some, like the razorbill, lay an egg on a rocky ledge and hope for the best. Others, like the king penguin, have no access to nesting materials so keep their egg warm by squatting directly over it, covering it with their feathers. Then there is the cuckoo, a brood parasite that lays its eggs in the nest of others. 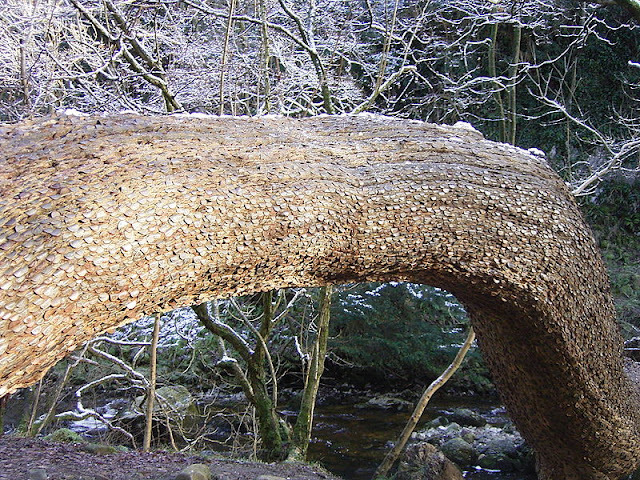 Yet most species of birds do indeed make nests and they come in all shapes and sizes. 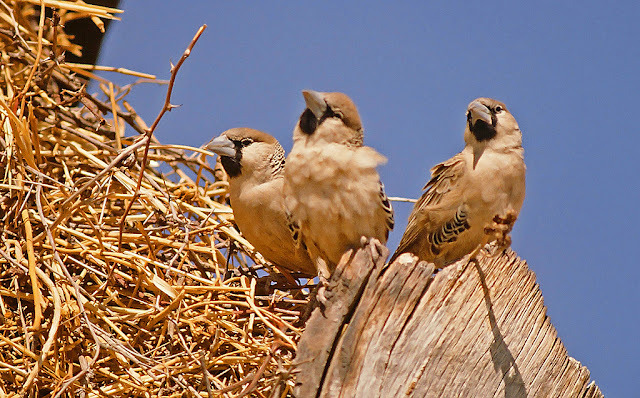 Perhaps the most spectacular of all these is that created by a rather plain looking African bird, the sociable weaver (also known more simply as the social weaver). Click here to take a look at this amazing nest-maker.